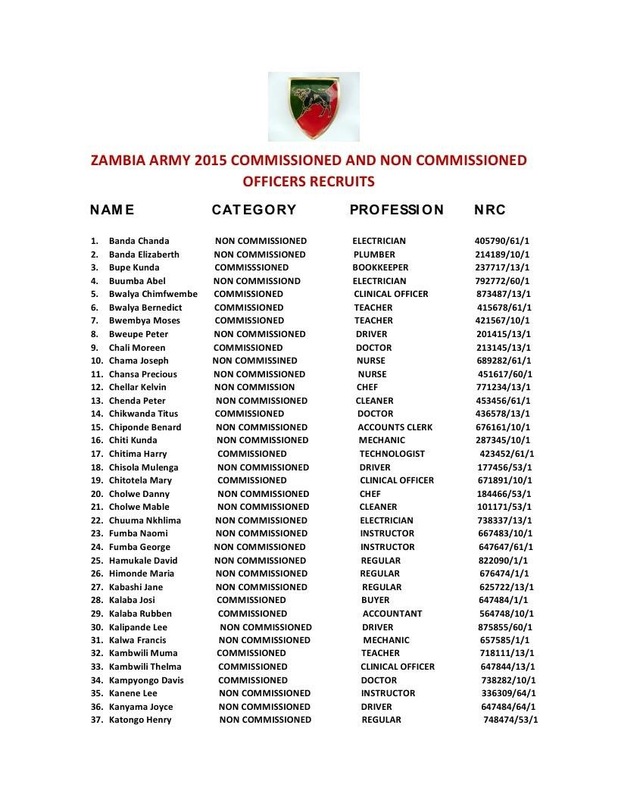 Zambia Army advertised for recruitment last year & over 300,000 youths applied. Unfortunately, before Zambia Army could go through the applications and choose the right candidates, State house intervened & brought their own list. The list contained names of their relatives & they ordered us to employ them & burn the applications from youths who responded to the advert. The move taken by state house did not only affect genuine applicants but us as Zambia Army. As Zambia Army, our Officers are intitled to bring two relatives who have to be recruited before the General Public is considered. The reason as to why Officers are given an opportunity to bring two people for recruitment is that Military Training is supposed to be accorded to people who can easily be traced. Once recruits are trained, chances are that some of them might become serious criminals using the skills accorded to them wrongly. So, If you employ people who are not related to our officers, you are endangering our community as those people can not easily be traced. It can be very difficult to trace & capture someone who doesnt have relations in Defense if he turns into another Mushala. With the coming of PF in power, our Officers are deprived of an opportunity to recruit two relatives which eased their plight as their dependents got empowered. Its now clear that the only people who are going to be employed by Government are relatives of Ministers and its a very bad development for mother Zambia. As you can see, the list has surnames of some of the prominent government figures and that is why Government stoped us as Defense from publishing the list. 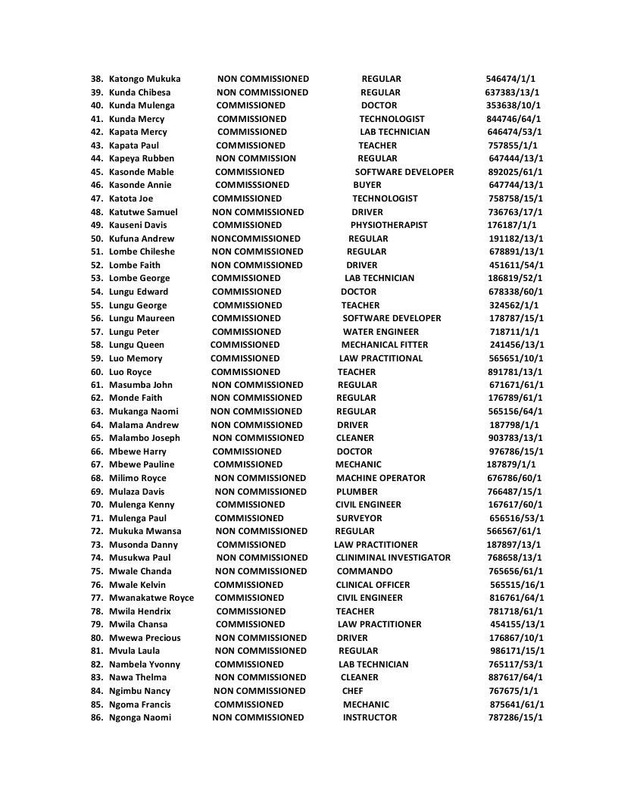 It is sad that while genuine applicants are waiting for the names to be out, there will be no names to come out because relatives of Ministers have already been recruited. On behalf of Zambia Army, I just want to say sorry to the many jobless youths who donated money to Zampost. 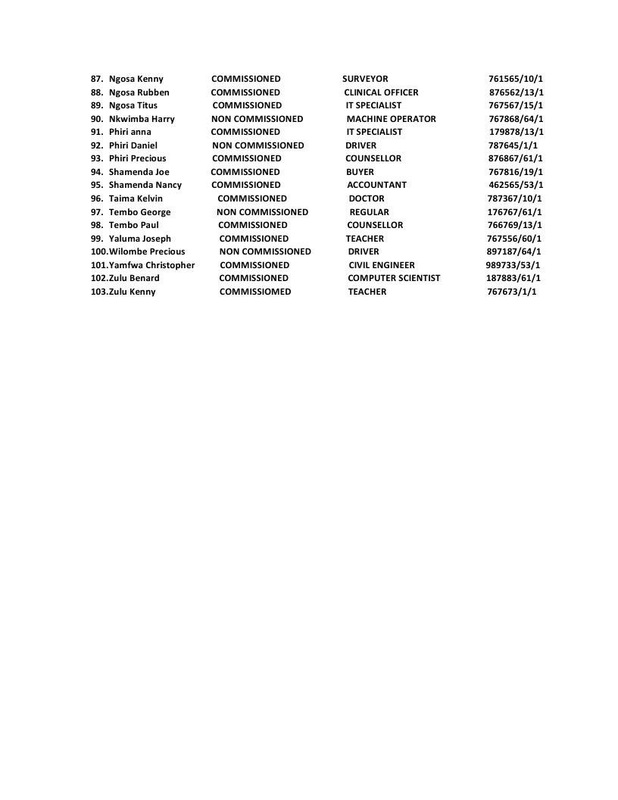 Attached are photos containing the list of 2015 recruited candidates.